Behavioral neuroscience as a scientific discipline emerged from a variety of scientific and philosophical traditions in the 18th and 19th centuries. In philosophy, people like René Descartes proposed physical models to explain animal and human behavior. Descartes, for example, suggested that the pineal gland, a midline unpaired structure in the brain of many organisms, was the point of contact between mind and body. Descartes also elaborated on a theory in which the pneumatics of bodily fluids could explain reflexes and other motor behavior. This theory was inspired by moving statues in a garden in Paris. Electrical stimulation and lesions can also show the affect of motor behavior of humans. They can record the electrical activity of actions, hormones, chemicals and effects drugs have in the body system all which affect ones behavior. Lesions – A classic method in which a brain-region of interest is naturally or intentionally destroyed to observe any resulting changes such as degraded or enhanced performance on some behavioral measure. Lesions can be placed with relatively high accuracy "Thanks to a variety of brain 'atlases' which provide a map of brain regions in 3-dimensional "stereotactic coordinates. The part of the picture emphasized shows the lesion in the brain. This type o lesion can be removed through surgery. Surgical lesions – Neural tissue is destroyed by removing it surgically. Electrolytic lesions – Neural tissue is destroyed through the application of electrical shock trauma. Chemical lesions – Neural tissue is destroyed by the infusion of a neurotoxin. Temporary lesions – Neural tissue is temporarily disabled by cooling or by the use of anesthetics such as tetrodotoxin. Transcranial magnetic stimulation – A new technique usually used with human subjects in which a magnetic coil applied to the scalp causes unsystematic electrical activity in nearby cortical neurons which can be experimentally analyzed as a functional lesion. Synthetic ligand injection – A receptor activated solely by a synthetic ligand (RASSL) or Designer Receptor Exclusively Activated by Designer Drugs (DREADD), permits spatial and temporal control of G protein signaling in vivo. These systems utilize G protein-coupled receptors (GPCR) engineered to respond exclusively to synthetic small molecules ligands, like clozapine N-oxide (CNO), and not to their natural ligand(s). RASSL's represent a GPCR-based chemogenetic tool. These synthetic ligands upon activation can decrease neural function by G-protein activation. This can with Potassium attenuating neural activity. Psychopharmacological manipulations – A chemical receptor antagonist induces neural activity by interfering with neurotransmission. Antagonists can be delivered systemically (such as by intravenous injection) or locally (intracerebrally) during a surgical procedure into the ventricles or into specific brain structures. For example, NMDA antagonist AP5 has been shown to inhibit the initiation of long term potentiation of excitatory synaptic transmission (in rodent fear conditioning) which is believed to be a vital mechanism in learning and memory.
) or decreasing the cytoplasmic concentration of protons, respectively. Electrical stimulation – A classic method in which neural activity is enhanced by application of a small electric current (too small to cause significant cell death). Psychopharmacological manipulations – A chemical receptor agonist facilitates neural activity by enhancing or replacing endogenous neurotransmitters. Agonists can be delivered systemically (such as by intravenous injection) or locally (intracerebrally) during a surgical procedure. Synthetic Ligand Injection – Likewise, Gq-DREADDs can be used to modulate cellular function by innervation of brain regions such as Hippocampus. This innervation results in the amplification of γ-rhythms, which increases motor activity. Transcranial magnetic stimulation – In some cases (for example, studies of motor cortex), this technique can be analyzed as having a stimulatory effect (rather than as a functional lesion). Optical techniques – Optical methods for recording neuronal activity rely on methods that modify the optical properties of neurons in response to the cellular events associated with action potentials or neurotransmitter release. Voltage sensitive dyes (VSDs) were among the earliest method for optically detecting action potentials. VSDs commonly become fluorescent in response to a neuron's change in voltage, rendering individual action potentials detectable. Genetically encoded voltage sensitive fluorescent proteins have also been developed. Calcium imaging relies on dyes or genetically encoded proteins that fluoresce upon binding to the calcium that is transiently present during an action potential. Synapto-pHluorin is a technique that relies on a fusion protein that combines a synaptic vesicle membrane protein and a pH sensitive fluorescent protein. Upon synaptic vesicle release, the chimeric protein is exposed to the higher pH of the synaptic cleft, causing a measurable change in fluorescence. Single-unit recording – A method whereby an electrode is introduced into the brain of a living animal to detect electrical activity that is generated by the neurons adjacent to the electrode tip. Normally this is performed with sedated animals but sometimes it is performed on awake animals engaged in a behavioral event, such as a thirsty rat whisking a particular sandpaper grade previously paired with water in order to measure the corresponding patterns of neuronal firing at the decision point. Multielectrode recording – The use of a bundle of fine electrodes to record the simultaneous activity of up to hundreds of neurons. fMRI – Functional magnetic resonance imaging, a technique most frequently applied on human subjects, in which changes in cerebral blood flow can be detected in an MRI apparatus and are taken to indicate relative activity of larger scale brain regions (i.e., on the order of hundreds of thousands of neurons). Electroencephalography – Or EEG; and the derivative technique of event-related potentials, in which scalp electrodes monitor the average activity of neurons in the cortex (again, used most frequently with human subjects). This technique uses different types of electrodes for recording systems such as needle electrodes and saline-based electrodes. EEG allows for the investigation of mental disorders, sleep disorders and physiology. It can monitor brain development and cognitive engagement. Functional neuroanatomy – A more complex counterpart of phrenology. The expression of some anatomical marker is taken to reflect neural activity. For example, the expression of immediate early genes is thought to be caused by vigorous neural activity. Likewise, the injection of 2-deoxyglucose prior to some behavioral task can be followed by anatomical localization of that chemical; it is taken up by neurons that are electrically active. MEG – Magnetoencephalography shows the functioning of the human brain through the measurement of electromagnetic activity. Measuring the magnetic fields created by the electric current flowing within the neurons identifies brain activity associated with various human functions in real time, with millimeter spatial accuracy. Clinicians can noninvasively obtain data to help them assess neurological disorders and plan surgical treatments. QTL mapping – The influence of a gene in some behavior can be statistically inferred by studying inbred strains of some species, most commonly mice. The recent sequencing of the genome of many species, most notably mice, has facilitated this technique. Selective breeding – Organisms, often mice, may be bred selectively among inbred strains to create a recombinant congenic strain. This might be done to isolate an experimentally interesting stretch of DNA derived from one strain on the background genome of another strain to allow stronger inferences about the role of that stretch of DNA. Genetic engineering – The genome may also be experimentally-manipulated; for example, knockout mice can be engineered to lack a particular gene, or a gene may be expressed in a strain which does not normally do so (the 'transgenic'). Advanced techniques may also permit the expression or suppression of a gene to occur by injection of some regulating chemical. Computational models - Using a computer to formulate real-world problems to develop solutions. Although this method is often focused in computer science, it has begun to move towards other areas of study.For example, psychology is one of these areas. Computational models allow researchers in psychology to enhance their understanding of the functions and developments in nervous systems. Examples of methods include the modelling of neurons, networks and brain systems and theoretical analysis. Computational methods have a wide variety of roles including clarifying experiments, hypothesis testing and generating new insights. These techniques play an increasing role in the advancement of biological psychology. Different manipulations have advantages and limitations. Neural tissue destroyed as a primary consequence of a surgery, electric shock or neurotoxin can confound the results so that the physical trauma masks changes in the fundamental neurophysiological processes of interest. For example, when using an electrolytic probe to create a purposeful lesion in a distinct region of the rat brain, surrounding tissue can be affected: so, a change in behavior exhibited by the experimental group post-surgery is to some degree a result of damage to surrounding neural tissue, rather than by a lesion of a distinct brain region. Most genetic manipulation techniques are also considered permanent. Temporary lesions can be achieved with advanced in genetic manipulations, for example, certain genes can now be switched on and off with diet. Pharmacological manipulations also allow blocking of certain neurotransmitters temporarily as the function returns to its previous state after the drug has been metabolized. ^ a b c d Carlson, Neil (2007). Physiology of Behavior (9th Ed.). Allyn and Bacon. pp. 11–14. ISBN 0-205-46724-5. ^ "ScienceDirect". www.sciencedirect.com. Retrieved 2019-04-24. ^ a b "History of Neuroscience". Columbia University. Retrieved 2014-05-04. ^ a b Dewsbury, Donald (1991). "Psychobiology". American Psychologist. 46 (3): 198–205. doi:10.1037/0003-066x.46.3.198. PMID 2035930. ^ Zhu, Hu (2014). "Silencing synapses with DREADDs". Neuron. 82 (4): 723–725. 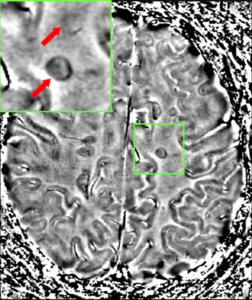 doi:10.1016/j.neuron.2014.05.002. PMC 4109642. ^ Ferguson, Susan (2012). "Grateful DREADDs: Engineered Receptors Reveal How Neural Circuits Regulate Behavior". Neuropsychopharmacology Reviews. 37: 296–297. ^ Churchland, P. S., & Sejnowski, T. J. (2016). The computational brain. MIT press. ^ Brodland, G. W. (2015, December). How computational models can help unlock biological systems. In Seminars in Cell & Developmental Biology (Vol. 47, pp. 62-73). Academic Press. ^ Kirby, Elizabeth D.; Jensen, Kelly; Goosens, Ki A.; Kaufer, Daniela (19 July 2012). "Stereotaxic Surgery for Excitotoxic Lesion of Specific Brain Areas in the Adult Rat". Journal of Visualized Experiments (65): 4079. doi:10.3791/4079. PMC 3476400.